Our goal is to provide your business with a complete IT procurement solution. In order to provide this service, we partner with leading distributors and are certified with major hardware/software manufacturers. We offer corporations flexibility in the products they purchase through Com Computer. However, we often work with our customers to determine the best product for their problem. Think of us as a partner that understands your business and IT infrastructure. Since we have first hand knowledge on product information and customer experiences, let us help advise you on what is the best solution for your needs. Our product offerings are suited towards the needs of today’s businesses. More importantly, we partner with the largest distributors to provide you with assured availability at the best possible price. We handle our customers’ IT procurement needs by offering the means of purchasing all computer products from hardware to software. In order to reduce risk for your business, we are also qualified to customize, test and install the products in your network infrastructure. 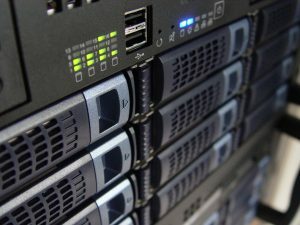 Com Computer also specializes in building custom computer systems for your business’ workstation or server needs. Please send us your requirement to receive a quote on your custom configuration. Please contact our sales department at sales@comcomputer.com for pricing, orders and sales inquiries.